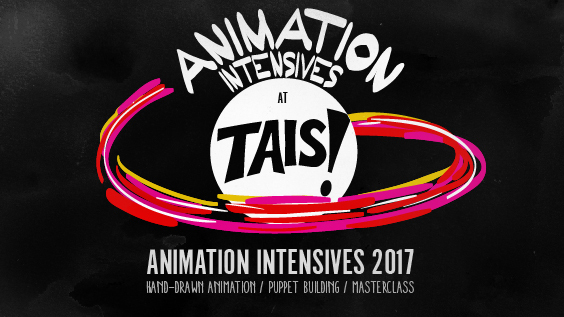 Beginning in March through mid-April 2017, TAIS is offering focused opportunities to learn the principles of character design and movement via classic handdrawn animation skills, and techniques for building stop motion puppets. Perfect for beginners and those with experience in animation. TAIS is also excited to present a Masterclass with award-winning animation artist, Terril Calder. Sign-up form is available below. Class sizes are small to ensure that all participants have opportunities to ask questions and get personal feedback. All Non-member course fees come with a one-year TAIS Supporting Membership included. This new membership can be used toward Member discounts for subsequent registrations. For all registrants, you have up to 1 week after registration to submit your payment to reserve your spot. If payment is not delivered within 1 week your spot may be given to another registrant. Payment can be made by Paypal or EMT (send to tais.animation@gmail.com), or via Cash or Cheque (made out to Toronto Animated Image Society). Payment MUST be made within one week of registration and submitted in full IN ADVANCE of the start date. There is a MINIMUM ENROLMENT for all workshops. Workshops that don’t meet the minimum may be cancelled. In the event that a workshop is cancelled, all registrations for that workshop will be refunded in full. NO REFUNDS are permitted in the event of cancellation by the registrant, including failure to attend. TAIS reserves the right to alter the course description and hours of the course, as needed, as the course is developed by the instructors. Registrants will be notified as soon as possible of any changes to the workshop information and schedule. *All those interested in registering for the Masterclass must submit an application. Limited space is available. See the application form at the bottom of the Masterclass registration form, below.